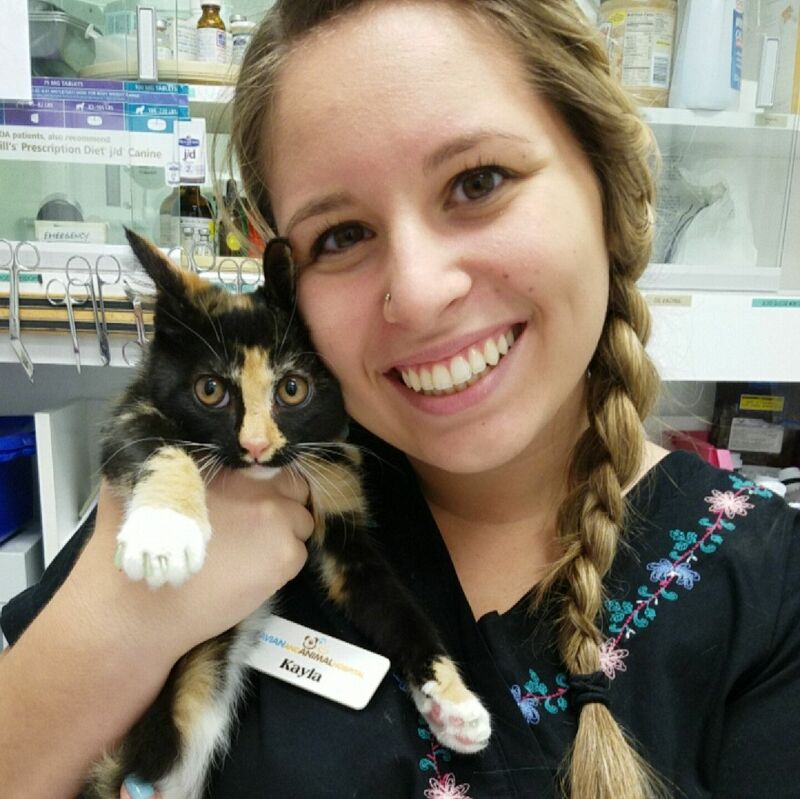 Kayla is a Certified Veterinary Technician here with us who just received her AS Degree in Veterinary Technology. Kayla has been working with animals since she started high school. She volunteered at SPCA, Animal Services, Animal Emergency clinics, farms, kennels and many more! At home, she has an Australian shepherd and two new crazy kittens! She loves caring for all of the exotics here but she of course loves the dogs and cats too! When Kayla is not working at Avian and Animal Hospital, she is enjoying time with her husband and friends. If you see her, come say hi- she loves to hear your crazy pet stories!